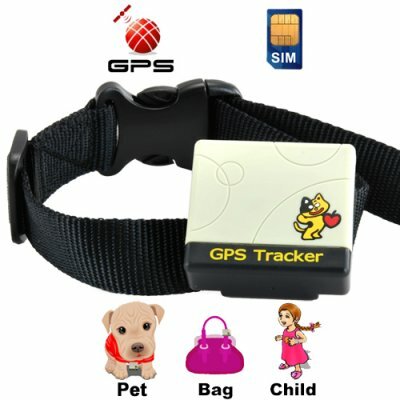 Successfully Added The Omni Tracker - World GPS Tracker to your Shopping Cart. One of the smallest GPS trackers on the market today, the Omni Tracker sends you SMS messages to help you keep track of important people and objects with ease! If you're a parent, put one in your kid's backpack so if they get lost you can find them with just one phone call. And if your elderly parents with Dementia or Alzheimer’s are prone to wander this will easily ensure they are never further than a phone call away. Dog and cat owners? Don't let the unthinkable happen! With the included harness, your cat or dog can wear the Omnitracker around their neck comfortably and always be found. The CVJL-G95 is also perfect for keeping track of cherished possessions. Keep one in your laptop bag to protect your computer as well as the valuable data inside. Auto theft is a global problem and it’s on the rise. Keep one in the trunk of your car. This GPS tracker is ideal for keeping track of heirlooms, antiques, anything of value which can be stolen. How does it work? Put a SIM card into the GPS tracker and power it up. The tracker will instantly co-ordinate with terrestrial satellites to get a fix on its own location. Next, using your cellphone or home phone, call the telephone number associated with the SIM in the GPS tracker. The GPS tracker will send you a text message (SMS) about its current location. And because this GPS tracker operates in all four global GSM bands (850 MHz, 900 MHz, 1800 MHz, and 1900 MHz) you can use it anywhere in the world! The Omni-Tracker also does a lot more. You can program it to only accept requests for GPS info from authorized telephone numbers. You can program it to repeatedly text you its GPS location at certain time intervals. You can even set up a geo-fence in which case, the unit will send you an SMS if detects it is leaving a certain area. So many uses, such a versatile product, and at a great OEM factory-direct price! The Omni Tracker is in stock right now in our warehouse for single piece and bulk purchases, so order yours in confidence, knowing it will be express shipped to you so that you will receive it within a week. This product is water resistant, but not water proof. Make sure you stay out of the rain and other water sources while wearing this device. Molded casing with integrated loop design for belt use or collar use. SOS button to send SMS help message to associated cellphone numbers.